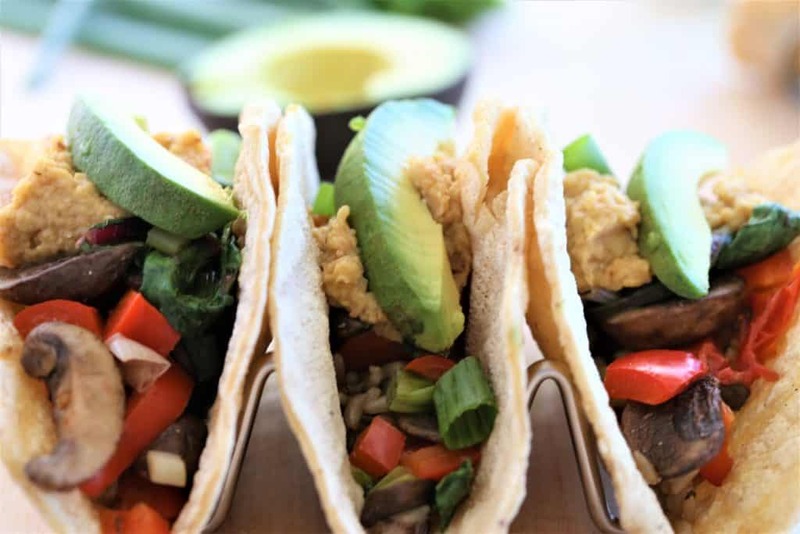 Vegetable Tacos With Chipotle Hummus.Tacos are really the perfect food-- a few carbs with a corn tortilla, vitamins and nutrition with sauteed vegetables and protein and flavor galore with chipotle hummus.All vegan, gluten free, dairy free and delicious! It is Taco Tuesday, and the perfect day for Vegetable Tacos With Chipotle Hummus. Well actually, any day is the perfect day for tacos, if you ask me. 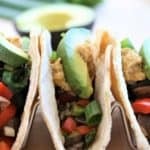 Tacos are really the perfect food– a few carbs with a corn tortilla, vitamins and nutrition with sauteed vegetables and protein and flavor galore with chipotle hummus. There are literally an unlimited number of taco combinations that one can prepare to get their taco fix. Today though, it is vegetable tacos and spicy chipotle hummus. 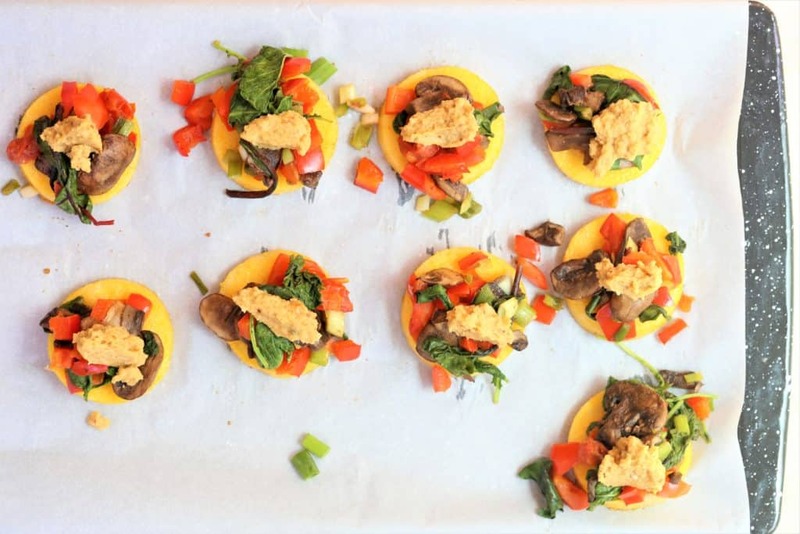 For those who don’t want the whole taco, or for kids, a fantastic option is to add the same ingredients on baked polenta rounds. All vegan, gluten free, dairy free and delicious! 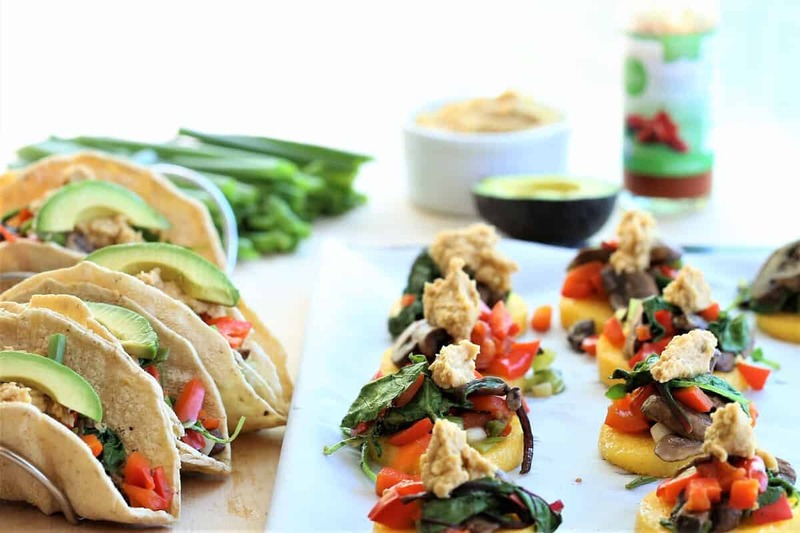 Yummy tacos or polenta rounds with healthy sauteed vegetables and chipotle hummus make a perfect meal or snack. 1 cup precooked brown/red rice. I use Seeds of Change. Saute vegetables in olive oil and salt and garlic until done, approximately 5-7 minutes. Slice polenta into 12 rounds.Drizzle with olive oil. Spoon vegetables on top of polenta rounds. Spoon rice, cooked vegetables into corn tortillas. This recipe makes 6 corn tortillas and 12 polenta rounds, but you can use any combination that you prefer.